Ever since the last White Paper in 2010, Defence has been putting its staff through the wringer in a cost reduction exercise so demoralising that aspects of the plan now seem to be in jeopardy. A major part of this plan has involved taking some of the work currently done by specialised staff, and contracting it out to the private sector, with obvious repercussions for anyone thinking of joining the military for a career. Just as at MFAT, the reform process has done damage to the morale of all concerned, to no perceivable operational advantage. Meanwhile, Defence continues to waste tens and hundreds of millions by the way it goes about procuring its equipment. Just as it always has done. 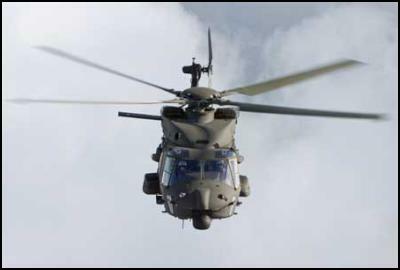 The latest example surfaced on the weekend, with the announced delays in commissioning the Air Force’s new fleet of eight functioning NH-90 helicopters (and one extra for spare parts) that were ordered by then Defence Minister Phil Goff in 2006 as replacements for our Vietnam war vintage fleet of Iroquois helicopters. The new helicopters cost $700 million, or nearly five times the price of the extended parental leave provisions vetoed last week by Finance Minister Bill English. Some of the problems with these new choppers have – allegedly – been due to them being the first of their type, when ordered. There are deployment problems and performance problems with the new choppers. Defence’s C-130 Hercules cargo planes for instance, are not currently able to transport the NH-90s, as originally planned. Defence is reportedly “looking at other transport options”. These include the helicopters flying themselves all the way across the Pacific if they can be refuelled, or going aboard the navy multi role ship HMNZS Canterbury – but only in certain safe sea state conditions. The only aircraft available that can fly them anywhere are the ex-Soviet Union Antonov-124 transporter. One lesson to be drawn from this debacle? Defence should consider buying more of its equipment “off the shelf” Provost suggested. Rather than, presumably, spending hundreds of millions of dollars on brand new, untested and/or specially designed variants. Very sensible of the Auditor-General. But that’s just not how Defence does its shopping. For those with long memories, the NH-90s saga sounds exactly like the notorious Project Sirius debacle in 2000. On that occasion, the upgrade of our tiny fleet of six P-3 reconnaissance and rescue aircraft ballooned out spectacularly from the $200 million first estimated in the 1996/97 Project Definition Study. Ultimately, the two contenders who finally met the specs (Boeing and Raytheon) tendered for its actual cost – which landed in the $650-700 million price range, or more than treble the original cost! Once it got over its consternation, Defence hastily tried to pare back the price to a more politically defensible $445 million, by hacking off some of the bells and whistles. … “ the amount of new development work and inherent degree of risk required to produce an RFT-compliant solution would drive the project price significantly beyond the budget constraints present within the Ministry of Defence. Consequently, we offered an alternative solution, tailored round our lesson-learned expertise, intended to provide significant cost savings and risk reduction advantages, while still satisfying the intent of the program… Our solution provided for fly-away cost of less than $US100 million plus training and integrated logistic support… of another $15-20 million. The Air Force immediately disqualified our proposal, despite the significant operational utility and savings our scheme would provide. Defence gear routinely costs amounts so huge they dwarf the cost of the social programmes that the government is currently baulking at. There’s a lesson here, but its one the Defence chiefs seem incapable of taking on board. Before it starts to dabble with casualisation and other ways of screwing over its uniformed staff, maybe Defence should put more time into learning the basics of (a) figuring out what it really needs (b) and buying what works at (c) a price the country can afford.